Explore a wealth of fantastic new rules options for both players and Dungeon Masters in this supplement for the world's greatest roleplaying game. Assembled here for the first time is new information on adventurers of every stripe. 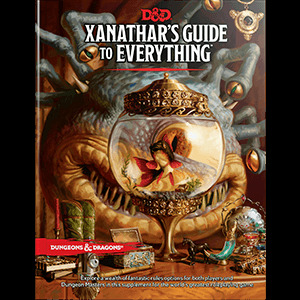 In addition, you'll find and valuable advice for those of nefarious intent who must deal with such meddling do-gooders, including the Xanathar's personal thoughts on how to dispatch anyone foolish enough to interfere with his business dealings. 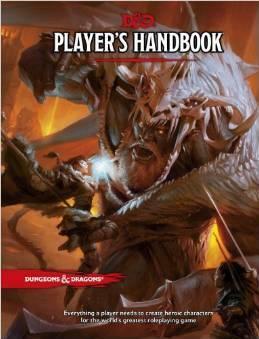 Alongside observations on ''heroes'' themselves, the beholder fills the pages of this tome with his personal thoughts on tricks, traps, and even treasures and how they can be put to villainous use. *Complete rules for more than twenty new subclasses for fifth edition Dungeons & Dragons, including the cavalier, the inquisitive, the horizon walker, and many more. *Dozens of new feats and spells, and a system to give your character a unique, randomized backstory. *A variety of systems and tools that provide Dungeon Masters new ways to personalize their home games, while also expanding the ways players can engage in organized play and shared world campaigns.